No Roman Trooper is complete without a good galea, or helmet. 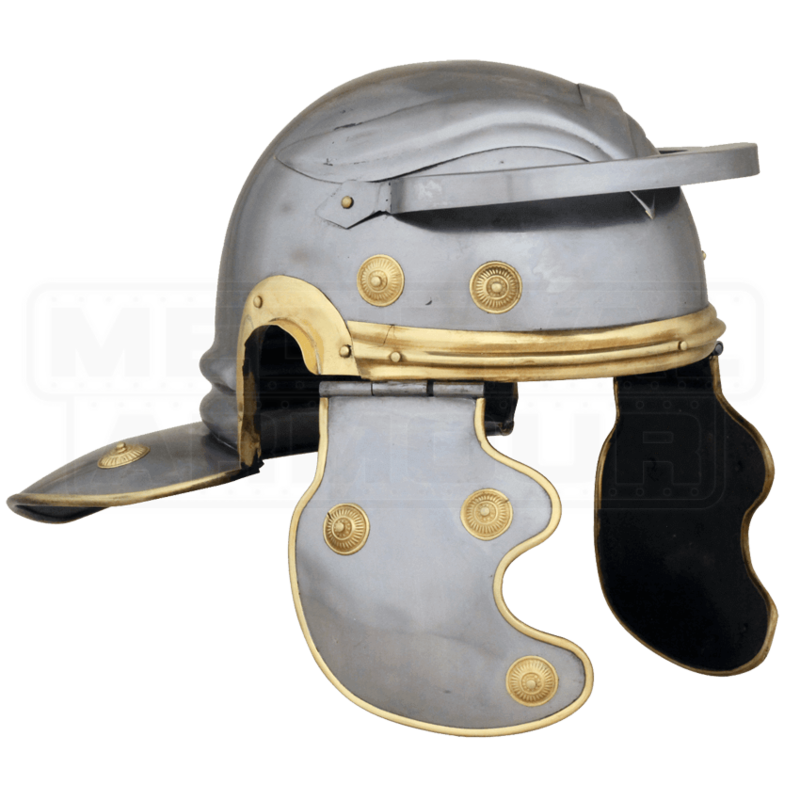 This Economy Roman Helmet is based on a historical model, and reflects not only the iconic look of the Roman Legion and its warriors, but also provides good, solid protection when worn, too. The round skull cap of the helmet possesses a protective visor as well as the iconic eyebrow adornments found on traditional Imperial Gaelic helmets. 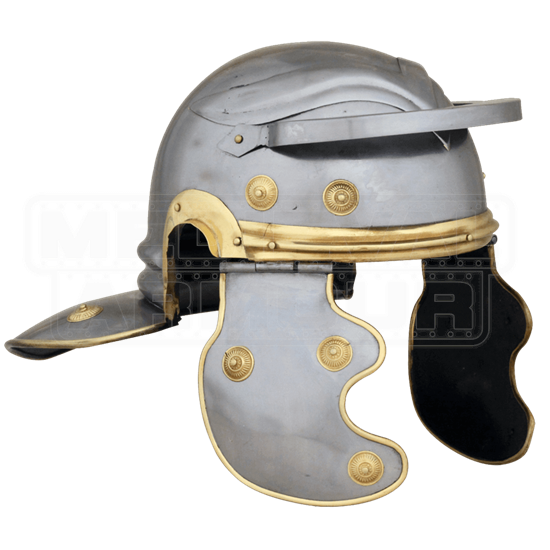 Brass furnishings ring the brim of the helm and brass medallions adorn the hinged cheek protectors, adding extra touches of appeal that make the helmet equally appealing for looks and protection. This helmet is made entirely from 18 gauge mild steel. The helmet comes with an internal liner, and is offered in one size. This Economy Roman Helmet is from a line of helmets and armors that are designed to be cost-effective, offering the maximum protection possible for the lowest price possible, making each piece a fine bargain to be had, as well as solid protection to wear. The Imperial Gaelic Helmet was, as its name implies, based on an earlier Gaelic model, although the Roman one is much improved, with greater protective features. Of particular note is the eyebrow adornments, which are a mainstay of the Gaelic helm design. One Size Fits Most. Fits up to a 22 to 23 Inch Circumference.